The Campus of Care project was initiated in August 2013. The purpose is to promote Methodist College's values of Human Dignity, Integrity, Social Justice, and Inquiry, while maintaining a safe community and upholding the college's mission and vision. The visual representation for this project is an umbrella, chosen because of the protective qualities of an umbrella. 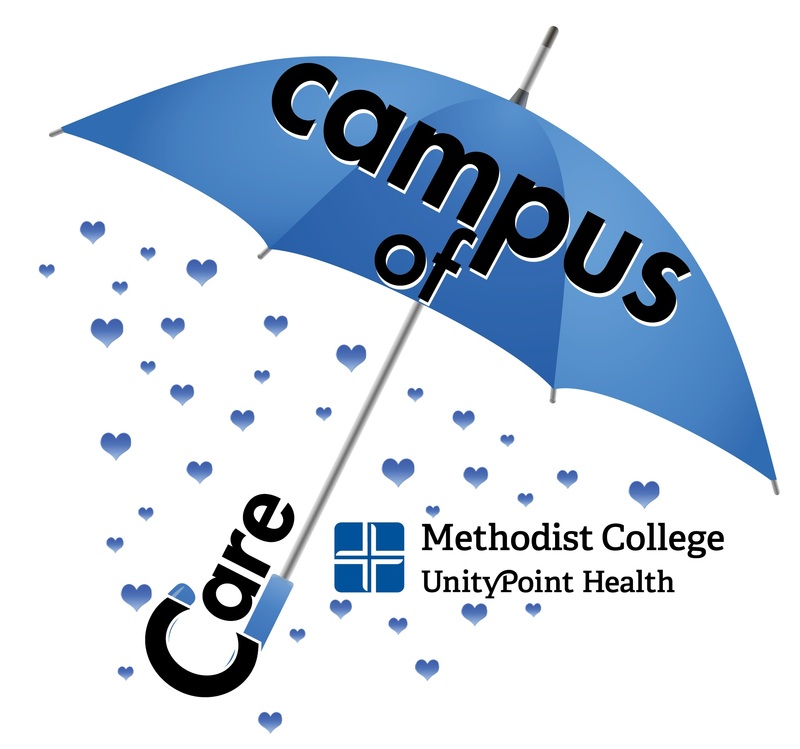 • The fabric of the umbrella represents the culture that provides a protective shelter for the college's constituents. This culture is one that embraces diversity and promotes safety. • The umbrella is supported by the handle, symbolizing how the MC culture is upheld by the MC mission and values.